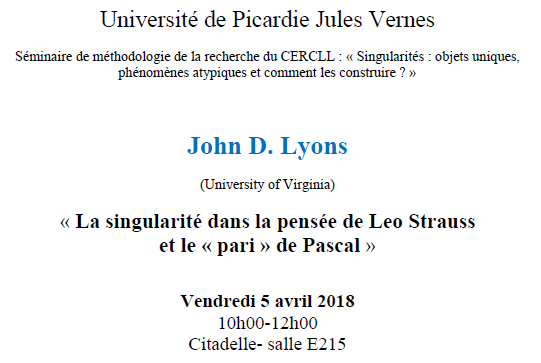 Recent UVA French graduate, Peter Chekin, PhD (2017) article: "Jean de joinville and the Old French rhotic consonant" has been accepted by the Zeitschrift für romanische Philologie, the premier venue for Romance Linguistics studies. "Based on textual evidence from Jean de Joinville’s Vie de saint Louis, this article argues that the Old French rhotic consonant /r/ had a dorsal pronunciation for at least some groups of medieval Francophones. This argument counters the prevailing view that medieval French /r/ was uniformly apical, and that the now-standard dorsal pronunciation only emerged in the early modern period. 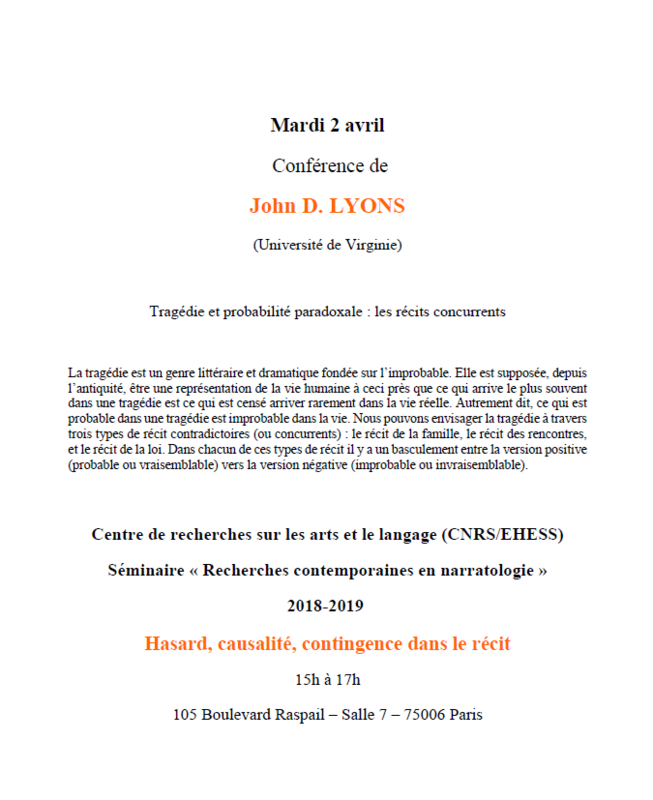 The article then develops the hypothesis that dorsal /r/ came into Old French as a result of Germanic influence, and not as a spontaneous development. For this purpose, it first surveys the current state of the debate about the origins of dorsal /r/ in the Germanic languages and evaluates the merits of its principal arguments in the light of Joinville’s testimony. 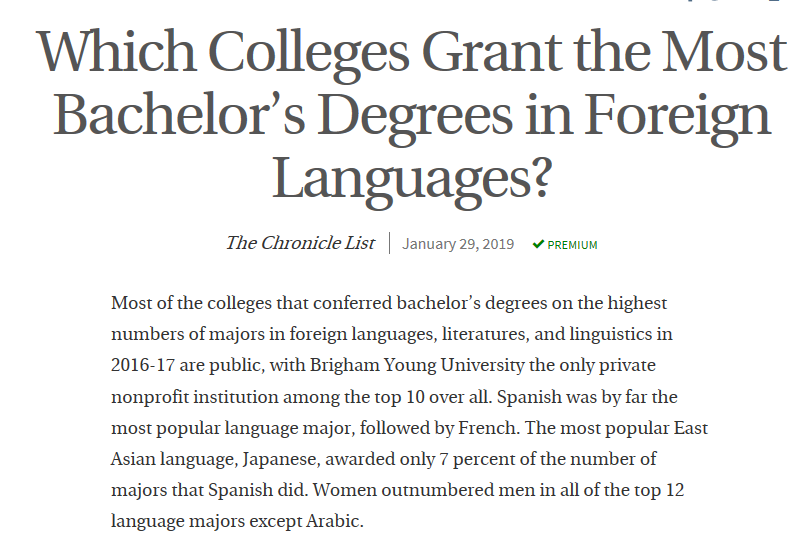 The article then advances a sociolinguistic argument in favor of the Germanic-origins hypothesis. Using the available evidence for the interactions between Germanic- and Romance-speakers at the dawn of the written French language, it proposes that Carolingian-era nobles who were native speakers of Franconian dialects brought this pronunciation of /r/ into Old French, and that this sound subsequently persisted in some Old French aristocratic speech as part of a prestige accent." Sam Campbell is serious about wildlife preservation – and now he has an avenue by which he can seriously pursue it. 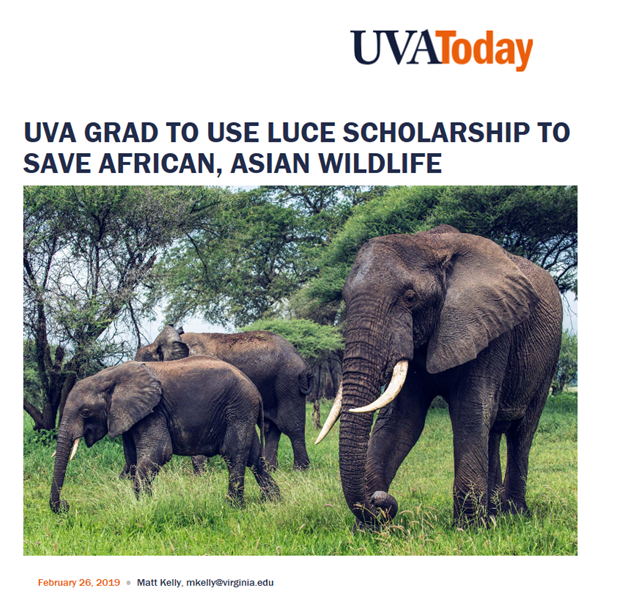 Campbell, a 2017 University of Virginia graduate, will study the African wildlife trade in Asia as one of this year’s 18 Luce Scholarship recipients. The Luce Scholars Program is a fellowship program launched by the Henry Luce Foundation in 1974 to enhance the understanding of Asia among potential leaders in American society. The program provides stipends, language training and individualized professional placement in Asia. Click here for more. Deborah McGrady announces publication of her new book. "The Writer's Gift or the Patron's Pleasure? 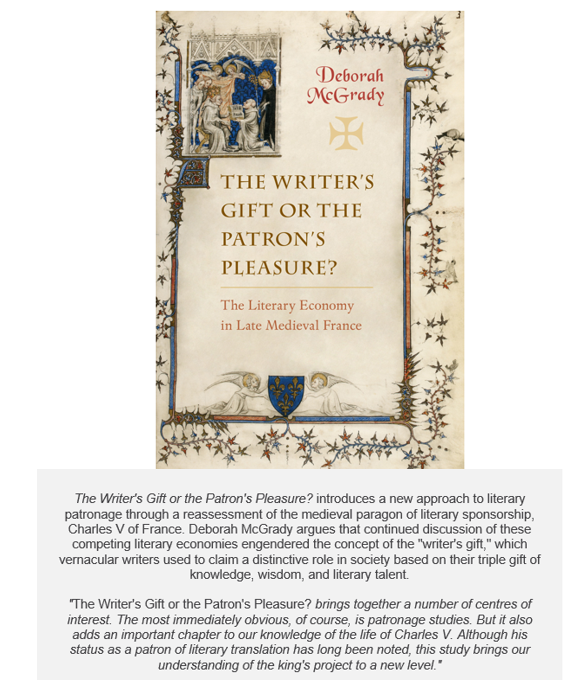 The Literary Economy in Late Medieval France". Congratulations to George Hoffmann, PhD UVA 1990 and Professor of French at U Michigan, on winning the MLA's prestigious Scaglione Prize for his latest book, Reforming French Culture: Satire, Spiritual Alienation, & Connection to Strangers, Oxford, 2017. Congratulations to George Hoffmann, PhD UVA 1990 and Professor of French at U Michigan, on winning the MLA's prestigious Scaglione Prize for his latest book, Reforming French Culture: Satire, Spiritual Alienation, & Connection to Strangers, Oxford, 2017. George’s first book, Montaigne’s Career, Oxford, 1998, also won the Scaglione Prize. The film critic and historian Antoine de Baecque is visiting us from the École Normale Supérieure (Paris). He is hosting two screenings this week, and will be giving a lecture entitled “Le cinéma est mort! Vive le cinéma!” on the 31st. The film critic and historian Antoine de Baecque is visiting us from the École Normale Supérieure (Paris). He is hosting two screenings this week, and will be giving a lecture entitled “Le cinéma est mort! Vive le cinéma!” on the 31st. 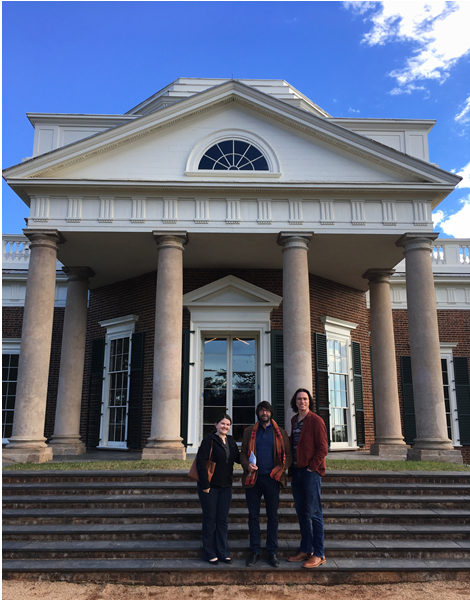 He was equally accompanied by doctoral candidate Claire-Marie Brisson and master’s student Beau Bryan as he visited Thomas Jefferson’s Monticello. Bienvenue! Congratulations to UVA 2018 French Alum Christopher Benos Released his First Studio Album "Lost Boy". Congratulations to French Department alum Christopher Benos for the recent release of his first studio album! “Lost Boy,” an album of impressionistic piano music, was written and recorded in Aix-en- Provence following time spent there on a study abroad trip with the Department. Some of the tracks were inspired by time spent studying and walking in the steps of Cézanne, others by time spent in the lavender plateau of Valensole. The album is available on all major music streaming platforms, including Spotify, linked below. Doctoral candidate Claire-Marie Brisson was invited as a special correspondent to French Canadian television on August 12, conducting two interviews on the one-year anniversary of Charlottesville's "Unite the Right" rally. 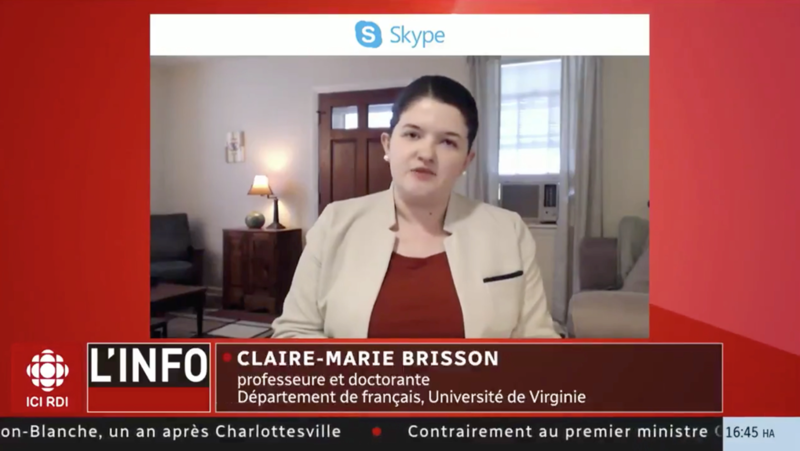 Doctoral candidate Claire-Marie Brisson was invited as a special correspondent to French Canadian television on August 12, conducting two interviews on the one-year anniversary of Charlottesville's "Unite the Right" rally. Click link below to hear interviews. Both interviews were aired on RDI Info - Francophone Canada's national news network as broadcast by Radio-Canada. Click here to view the second interview to their social media. 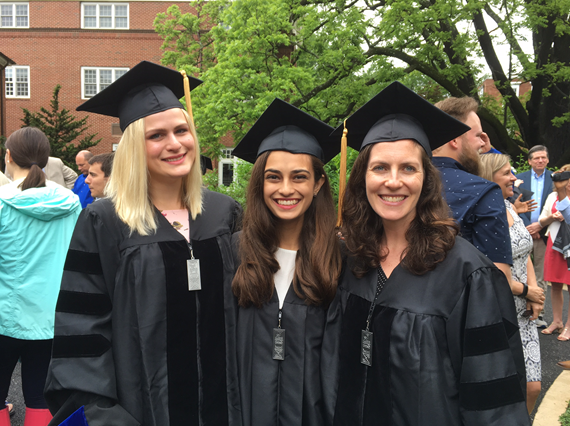 Congratulations to Maas Award Winners: 1st Place - Michelle Brennaman; 2nd Place - India Eguiguren; 3rd Place - Naina Wodon. The prizes were given at the 2018 Maas Ceremony April 25th. 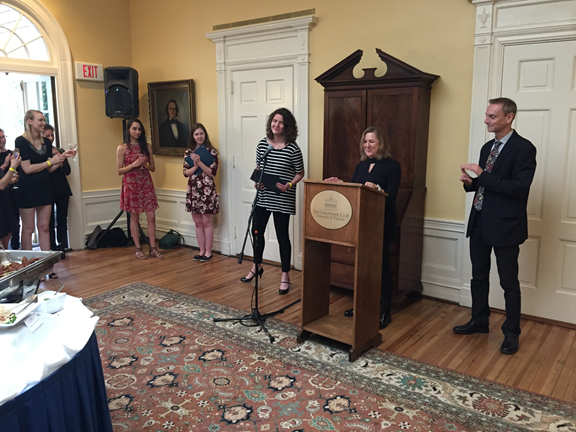 at the 2018 Maas Award Ceremony held April 25th at the UVa Colonnade Club. Jefferson Literary and Debating Society. Project Description: The 2017-2018 Praxis cohort has moved the material history of UVa out of Special Collections and onto Grounds. Using a mobile Artifical Reality application, UVa Reveal explores otherwise hidden stories, histories, and questions surrounding objects and areas at UVa. In doing so, UVa Reveal prompts users to re-examine their everyday spaces and critically reflect on the structure, culture, mission, and history of the university. Congratulations to PhD Candidate Andrew Hill. 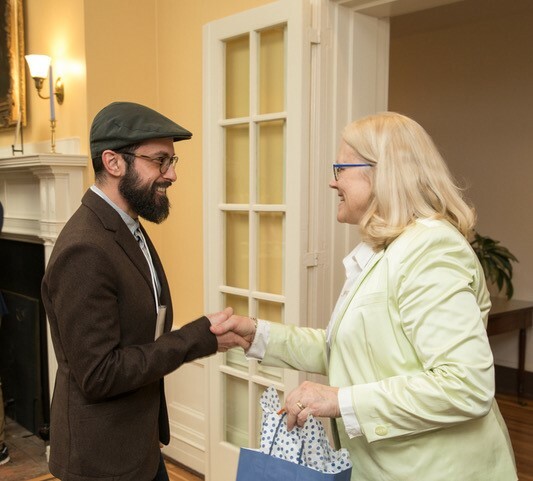 He has won a Rare Book School fellowship and a GSAS AHSS grant to attend a RBS session at Yale’s Beinecke Library and travel in search of medieval manuscripts connected to St. Margaret. Congratulations to PhD Candidate Spyros Simotas, winner of one of the 2018 All-University Graduate Teaching Awards! These awards honor students from all disciplines who have demonstrated exceptional achievement in undergraduate instruction. Congratulations to Sypros Simotas, one of the winners of the 2018 All-University Teaching Awards. The All-University Teaching Award is one of 15 different awards determined by an interdisciplinary faculty selection committee that reviews nominations from each department or school that employs GTAs. Ten All-University Graduate Teaching Awards are given and each carries a $500 award, an engraved Jefferson Cup, and a certificate in honor of the achievement. All nominees will be celebrated for their contributions at a Graduate Teaching Awards Reception in April. 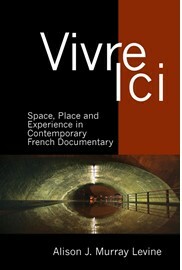 Congratulations to Alison Levine on the publication of her new book, Vivre Ici: Space, Place and Experience in Contemporary French Documentary, Liverpool University Press (March 2018).